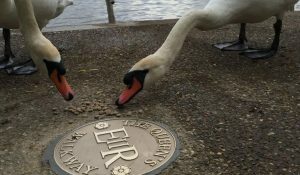 This new walking route (in place since September 2015 to mark the occasion of The Queen becoming Britain’s longest reigning monarch) was opened by The Queen on her 90th birthday, 21 April 2016. The information panel she unveiled is located at the foot of Castle Hill. The Queen’s Walkway is a symbolic 6.373km long for the 63 years, 7 months and 3 days (one day more than Queen Victoria’s reign) and links 63 of Windsor’s best attractions, features and views. Download the brochure that will guide you around the 63 points of interest on the walkway or pick up your free copy at the Royal Windsor Information Centre.